A 16% solids satin look solvent-based sealer for restoring previously sealed decorative stamped concrete, pavers, natural stone, and brick. 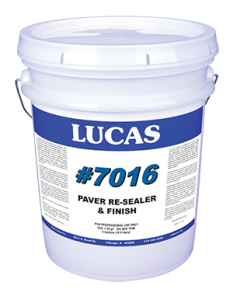 #7016 is also used to stabilize loose sand in paver joints protecting it from damage, wear and deterioration. #7016 is formulated with VOC compliant solvents in all 50 states.